Learn to make an easy unicorn cake and cupcakes secretly filled with colorful candies in this article. Read on to delight your little one at his or her unicorn-themed party! Using a stand mixer with a paddle attachment, cream the sugar and the butter until fluffy. Add the eggs then give the mixer a pulse. After adding the eggs, it’s time to add the cake mix and the whole milk. Pulse the mixer until smooth. Get medium size bowls and divide the cake batter into sections: 2/3 of the batter will be used for the bottom tier and 1/3 for the top tier. For gradient layers, split base tier into fourths. Increase dye used each time to make the gradient. Make color gradients for the top tier in the same way as Step 3. Get your cake pans ready! Use an 8-inch round cake pan for each purple cake batter and a 6 inch round cake pan for the pink ones. Grease your cake pans with cooking spray, then add wax paper to the bottom of each pan to prevent your cake from sticking. You are now ready to add the cake batter and spread around evenly into the pan. After that, pop the cakes in the oven and bake for 30 minutes at 350°C. Check whether your cake is done or not using a cake tester. Once done, set it aside and let it cool for ten minutes. Tip: You can also use a toothpick or even a spaghetti noodle to check if your cake is done. Slowly stick your tester into the cake and see if it comes out clean. If not, then you need to put your cake back in the oven and bake for a few more minutes. Use a stand mixer or a hand mixer to combine the whip cream powder and milk. Mix until the frosting is light and fluffy. After whipping up the frosting, divide it into four equal amounts and put them in separate bowls. Add a drop of the liquid coloring to the frosting (one color for each bowl) — pink, teal, yellow, and purple. Place all frosting into piping bags then set aside. Reminder: You’ll also need an extra amount of frosting for the face of the unicorn, one piping bag for plain white frosting and another one for a black frosting. Get a cake board and add frosting to secure the first layer of the cake, then cut the middle part of your cake using a 5 mm plain round cutter and spread a good amount of the plain white frosting atop. Repeat the step for the other two purple cakes. Once the cakes are secure, fill the center hole with sprinkles and sugar pearls. You can also use other small candies like Skittles, gummies, etc. After that, time to add the last layer of the bottom tier. Get your frosting and cover the side of your cake with all four colors. Use a bench scraper to smoothen out the frosting on the sides, giving it a clean and straight finish. Do the scraping while rotating the cake board. For the top layer, spread evenly a pink frosting using a small offset icing spatula. Add the pink cakes on top of the bottom tier of your unicorn cake. Add plain white frosting between each layer as well as on the side. Smoothen out the frosting using an icing spatula while rotating the cake board. Make fondant and use a small rolling pin to flatten the fondants. Use white and pink fondant for the ears, nose, mouth, and the horn of your unicorn cake. Mold the white fondant to make ears and then twist the fondant to make a horn. Attach them to a toothpick to each part to make them stick to the cake. After that, paint the ears and horn with edible gold dust. The pink fondant will be the base of the nose and mouth. Then, use the black frosting to draw the eyes, nose, and mouth of your unicorn cake. Attach the ears and horn on top of the cake and decorate it with unicorn-inspired frosting swirls using a piping bag filled with a mix of pink, yellow, teal, and purple frosting. Your unicorn-themed cake is now ready to be served, enjoy! Using a stand mixer with a paddle attachment, mix the flour, caster sugar, baking powder, lemon zest, and butter until mixed well. Next, add the eggs and whole milk then pulse the mixer until smooth and creamy. Line a cupcake tin with twelve cupcake liners and fill each with the cupcake batter, then bake for 20-25 minutes at 170°C or until the cupcakes spring back when lightly pressed in the center. Once done, set it aside and let it cool before adding the frosting. Combine the whip cream powder, water, and lemon juice using a stand mixer or a hand mixer. Mix until the frosting is light and fluffy. After whipping up the frosting, divide it into four equal amounts and put them into separate bowls. Add a drop of the liquid coloring to the frostings per bowl. Use the colors pink, purple, teal, and yellow. After giving the frosting a good mix, place them into piping bags. Put all frostings in one large piping bag that should fit all four smaller piping bags and then attach a star piping tip. Mold a white fondant to make the ears and horn of your unicorn cupcake. Attach a toothpick to the horn. Next, paint the ears and horn with edible gold dust. Scoop out the middle of each cupcake using a circle cutter. You can also use a melon baller or teaspoon to scoop out the cupcake. Now, add sugar pearls, sprinkles, or any candies you like then cover the hole with the same piece of cupcake you removed to secure the candies. Now we will add the frosting on top of each cupcake, attach the ears and horn, and we’re done! Enjoy! 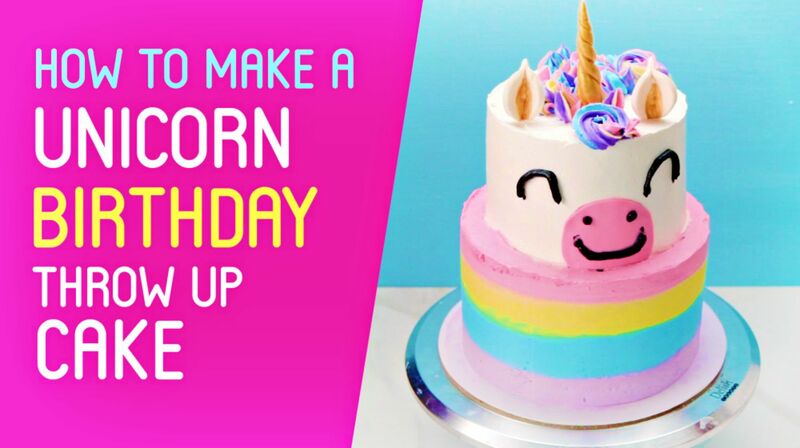 We hope you enjoy this easy-to-follow tutorial for making a tasty and adorable unicorn cake and cupcakes! As moms, we always want the best for our children and that’s why we want nothing but the prettiest cakes for their birthdays. These unicorn-themed treats will make the party more magical and special! Which one do you prefer, the unicorn cake or the cupcakes, or both? Let us know in the comments section below. 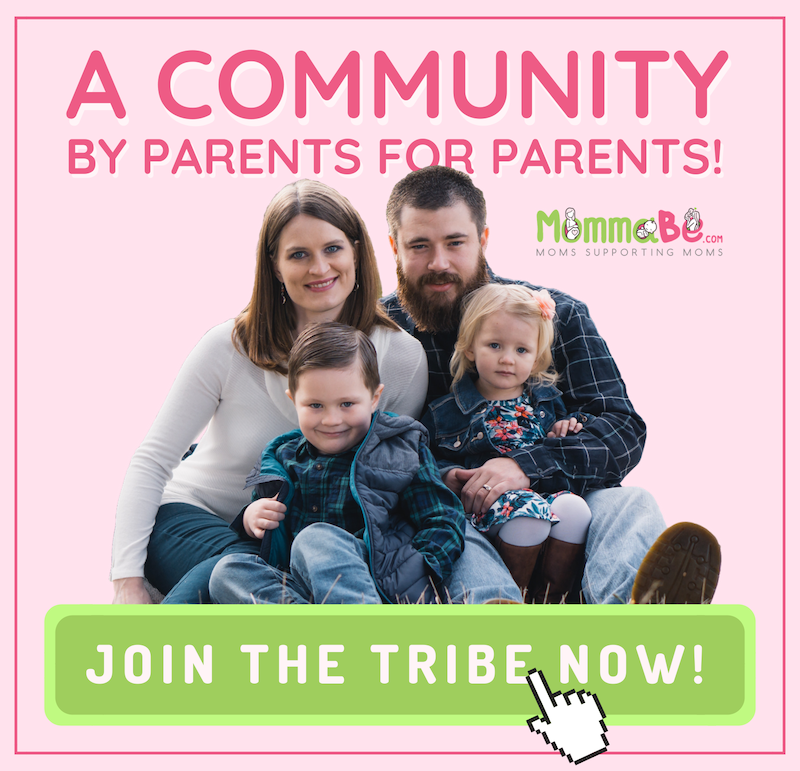 3 Delicious Freezer Meals For New Moms!